This Saturday afternoon, bring your 2 legged and 4 legged kids to El Club for a BBQ! 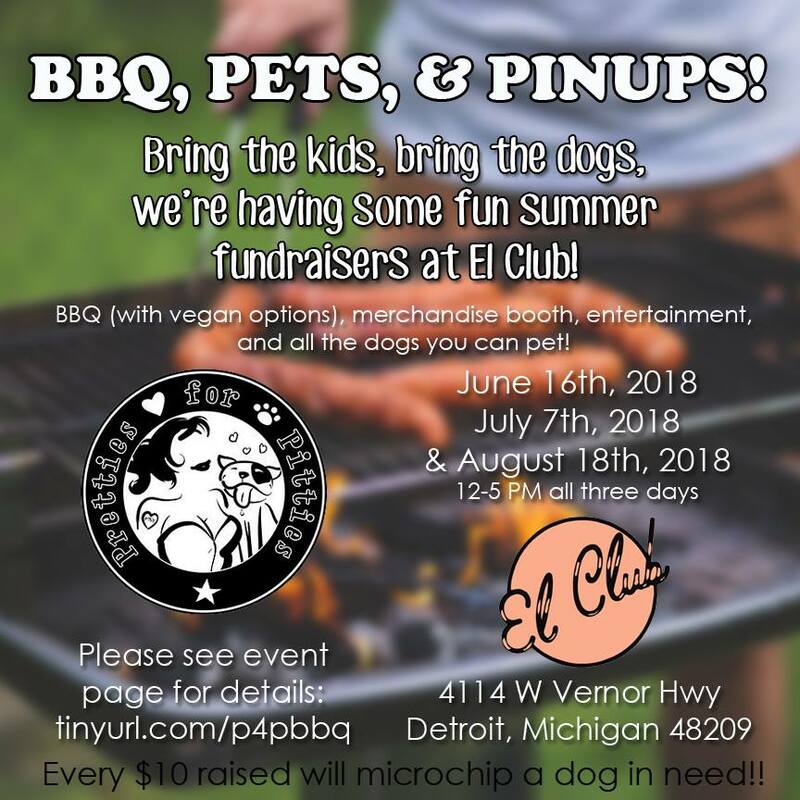 The BBQ is being hosted by the non-profit Pretties for Pitties, and is a fundraiser for an upcoming microchip clinic that the group will be hosting. It is estimated that over 10 million pets are lost or stolen in the US each year. Microchipping your dog or cat will help ensure that if they get lost, they will make their way back home. 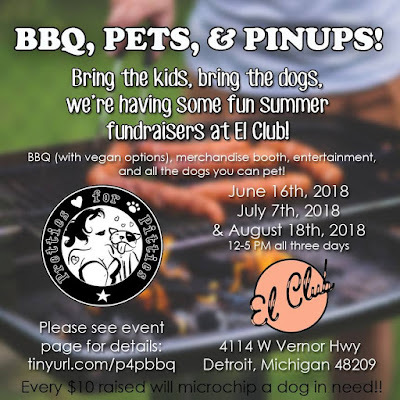 Every $10 raised at this BBQ will help microchip a dog in need later this year. Saturday's BBQ will feature great food, with Vegan options. There will also be merchandise for sale on site for you and your pup, as well as fun contests. If you don't have a fur-child to bring with you, this is also a great time to adopt because the River Rouge Animal Shelter will also be at the event. The BBQ will run from 12-5 p.m. on Saturday and all ages are welcome. However, only one dog is allowed per each 21+ adult. Please make sure you also bring your vaccination records with you for your pet, and only friendly dogs are allowed. For more information on this fun event, click here.